Tax credits that predominantly benefited middle-class and upper-income families are disappearing. That money is largely being shifted toward programs targeted at low-income families. It's not exactly Robin Hood, but it is a kind of redistribution of wealth. It's the real story of Ontario's 2016 budget, but you aren't hearing Premier Kathleen Wynne and her ministers putting it quite this way. Tax credits that predominantly benefited middle-class and upper-income families are disappearing. That money is largely being shifted toward programs targeted at low-income households. It's not exactly Robin Hood, but it is a kind of redistribution of wealth not seen in this province since the days of Bob Rae. Ontario Budget 2016: Where's the money for affordable housing? It's not surprising that Wynne — who promised to lead an "activist" government — would want to shift benefits toward the poorest Ontarians. What is surprising: her willingness to get rid of politically popular tax credits to do so. In 2010, then-premier Dalton McGuinty brought in the Children's Activity Tax Credit. It copied Stephen Harper's federal Children's Fitness Tax Credit (allowing families to write off the cost of sports, such as swim lessons or gymnastics classes or hockey) and one-upped it, by also allowing non-sporty families to deduct the cost of activities ranging from singing lessons to chess club to Girl Guides. "This is one more way that we can help parents pay for those costs associated with raising healthy, active, engaged kids," McGuinty told reporters at the time. The Wynne Liberals see things differently. The new budget not only eliminates this tax credit, but dismisses it as a mere sop to the middle class. "The Children's Activity Tax Credit primarily benefits higher-income families who are less likely to need it to pay for their children's activities," reads the 2016 budget. The government says about half of the 675,000 families claiming the tax break have household incomes above $100,000. The new budget also gets rid of other tax credits that give greater benefit to people in higher tax brackets. Starting in September 2017, students and their parents will no longer be able to write off the cost of tuition on their taxes. The $335 million the government has been handing out in these tax credits will instead go toward the new Ontario Student Grant. It will cover the cost of average tuition for students from low-income families, while providing diminishing grants for higher-income families. 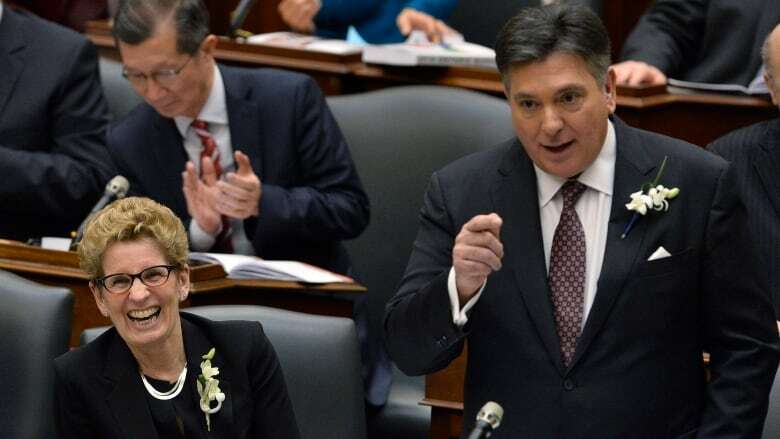 Measures in the new Ontario budget will remove a tax deduction for tuition but will boost the grants going to lower-income families to cover the cost of tuition, starting in the 2017-18 academic year. "Grants are more effective than tax credits at targeting financial support to students with the greatest needs," reads the 2016 budget. As these budget charts show, the size of the grant decreases as family income rises. It's another shift to the left from the McGuinty era: the 30 per cent tuition rebate he introduced applies equally to well-off and poor families, knocking the same amount off tuition whether the student comes from a $50,000 or $150,000-a-year household. Subsidized drugs for wealthy seniors: gone? The new budget increases what all but the poorest Ontario seniors pay for prescription drugs. Once the changes take effect on August 1, every senior earning more than $19,300 will pay $70 more per year in a deductible and $1 more for every prescription. The changes hit the barely-scraping-by senior with exactly the same price increase as the rich. The problem is how the Ontario Drug Benefit program is structured. It provides the same deal to all seniors whose pension exceeds an arbitrary cut-off line. A senior living on just $20,000 a year will pay an annual deductible of $170, plus a fee of $7.11 for each prescription. A senior living on $100,000 a year will pay exactly the same amount. 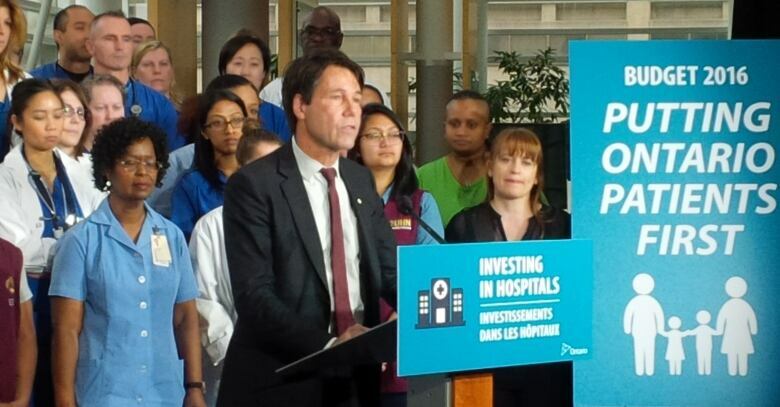 "By 2019, we hope to actually have a drug program in place which is sustainable, accessible, affordable, fair, equitable," says Ontario Health Minister Eric Hoskins. The government is trying subtly to send a message that subsidizing the drug costs of rich seniors is not only unsustainable, it's unfair. "By 2019, we hope to actually have a drug program in place which is sustainable, accessible, affordable, fair, equitable," Health Minister Eric Hoskins told me Monday at the Legislature. Reading the tea leaves: the Wynne government appears to be laying the groundwork for full-fledged income testing for the drug-benefit plan, so that the more a senior earns, the more they'll have to pay for medication. "Income testing helps target benefits to those most in need while helping to ensure that programs are sustainable over the long term," reads the budget. "Over the next year, the government will continue to review programs to determine where benefits could be better targeted." Anyone out there disagree that subsidizing the drug costs of a senior living on $100,000 a year "could be better targeted?" "As a broad speaking policy, we need to make sure the people who are the worst-off in our society have the most help possible," NDP deputy leader Jagmeet Singh told me Monday at the Legislature. "If that's actually what happens, that would be something encouraging. But is it going to be the case? We'll have to wait and see." Ontario budget 2016: How is your pocket book affected?